Only rarely in Europe do the surface remains of Neolithic flint mines remain so dramatically for all to see as those located along the South Downs and in the Breckland of England. Even within England they represent a diminishing resource and only ten sites have been recorded with any certainty. As examples of our earliest industrial heritage they represent archaeological sites of the first importance and have a special part to play in the history of technology. However, despite a lengthy history of archaeological investigation, they have rarely been considered nationally as a class of monument. Although some sites such as Grime's Graves are well known through excavation campaigns, others are known only through obscure articles and unpublished archival material. Many of those that survive as earthworks or cropmarks have never been surveyed previously or accurately planned. 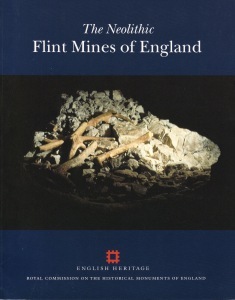 Consequently, English Heritage has compiled detailed plans of the surface areas of all of the known flint mines and investigated the sites of other potential examples. Using a combination of field survey, aerial photography and archival research, this volume looks at each site in its own right as a major and important complex and - for the first time - offers a synthesis of the evidence to date.